Every morning, I walk. 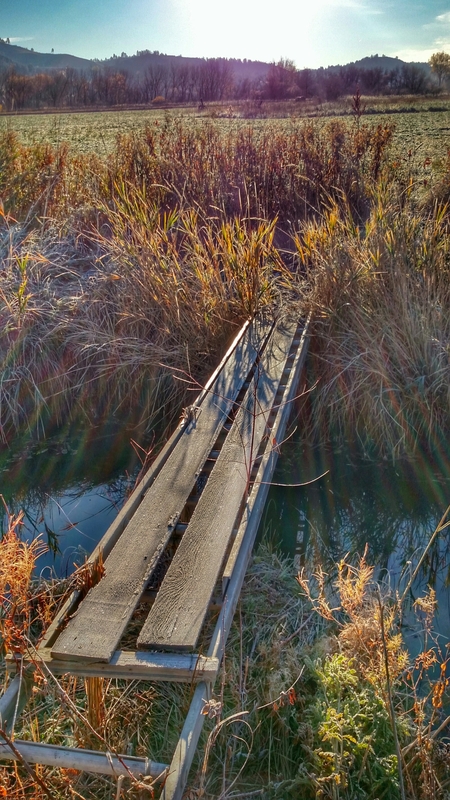 I walk across a makeshift bridge cross Sunday Creek. Chloe dives in and swims the deep three foot crossing. 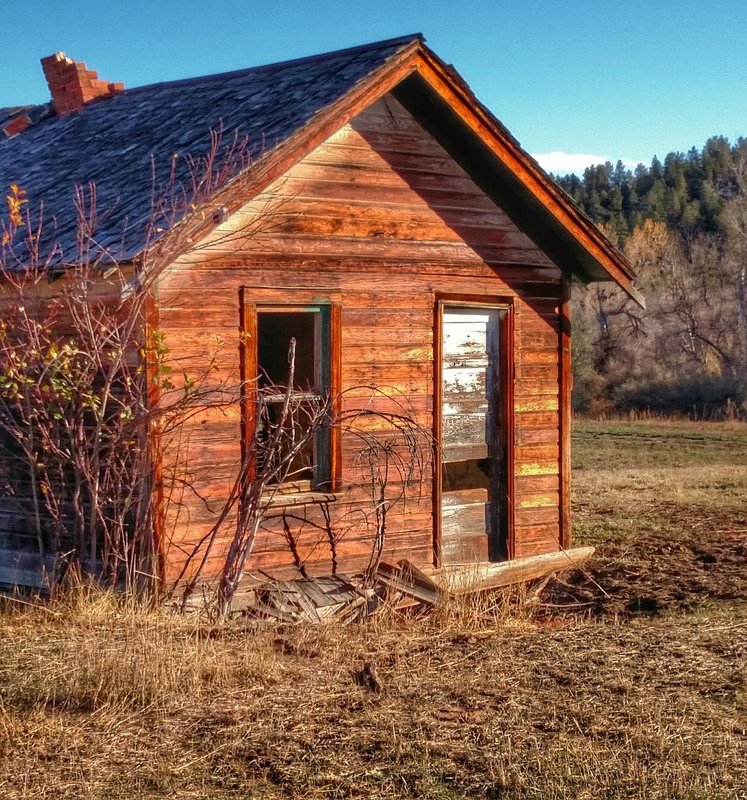 Crossing alfalfa fields, past an old abandon house, down to the Little Big Horn River to swim the dog. 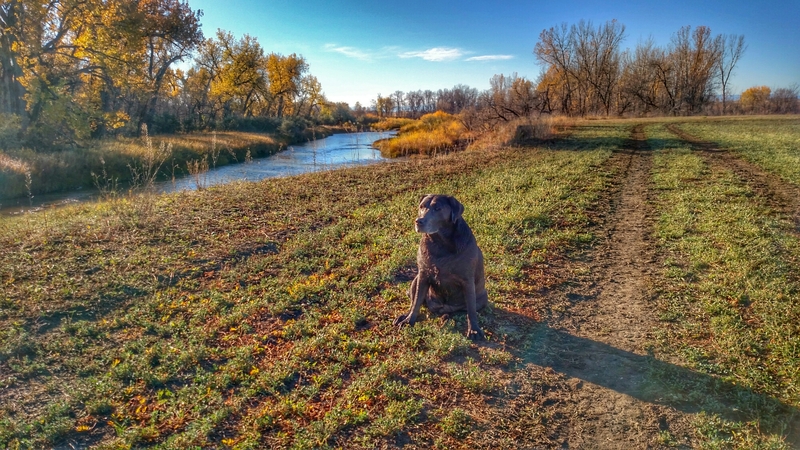 Chasing pheasant and turkeys on the way home, our morning walk ends petting the horse and finally hot coffee. 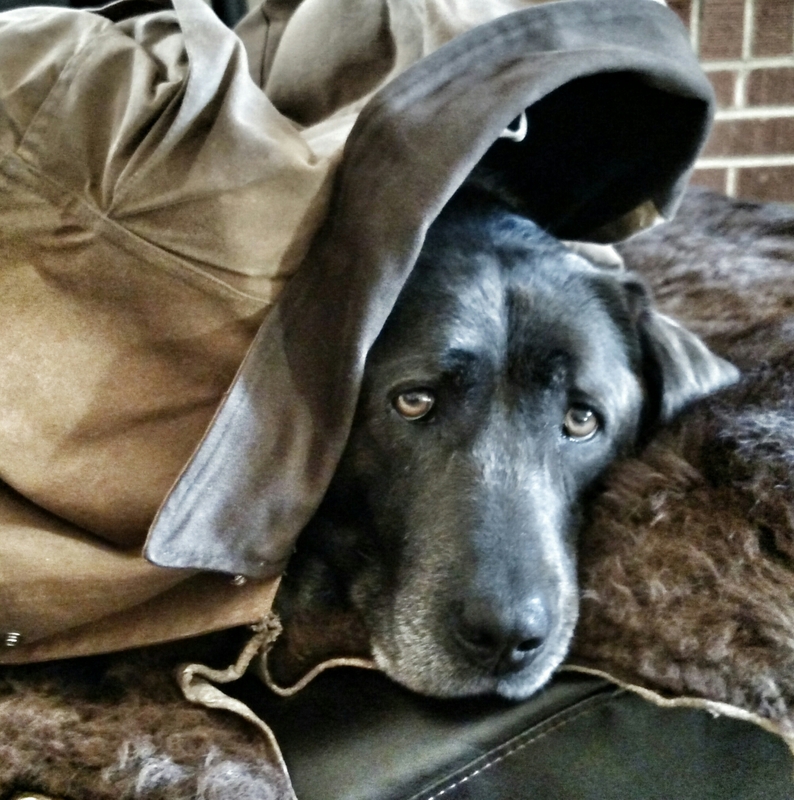 Chloe snuggles up under my old Filson coat – warming up on the buffalo hide. Sounds like the perfect way to start the day!